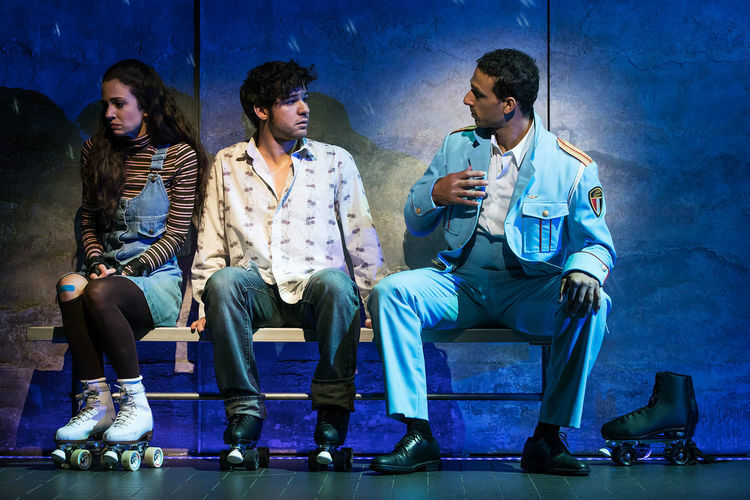 Based on 2007 arthouse movie The Band’s Visit, the new musical opened off-Broadway in late 2016 and promptly opened on Broadway in November 2017. Book writer Itamar Moses follows the style of a movie, presenting the touching tale in one act without the trappings of a singing/dancing chorus. The show could practically be called a play with songs, but it must be noted that the musical numbers are not artificially interpolated – the characters do break into song. 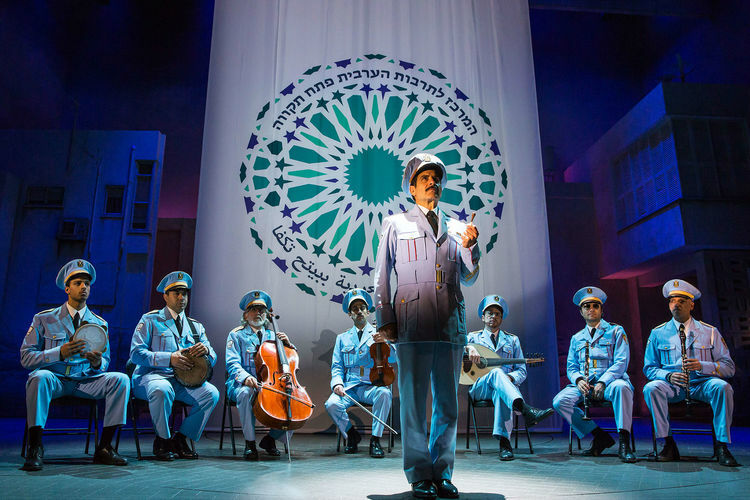 Set over a roughly 24-hour period in 1996, the band in question is the Alexandria Ceremonial Police Orchestra and they have travelled from Egypt to play at the Arab Cultural Centre in Petah Tikvah. Shame, then, that they board a bus from the airport to Bet Hatikvah. 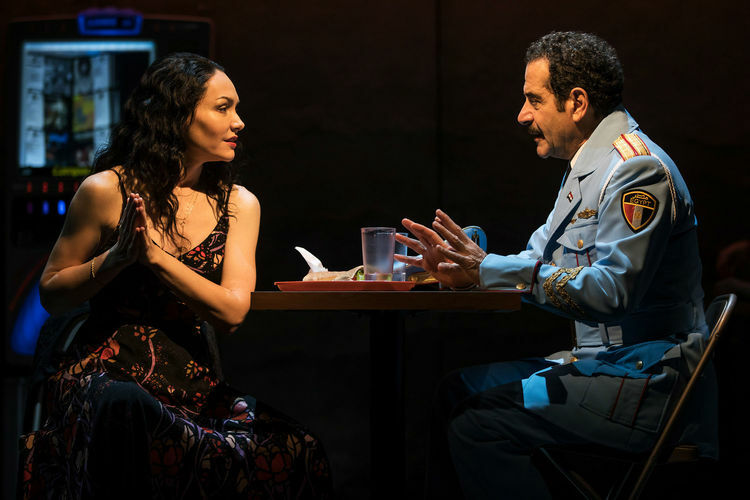 It just so happens that many of the restless inhabitants of the tiny town are at a crossroads, and the band’s visit serves as a catalyst for some subtle but necessary changes and awakenings. 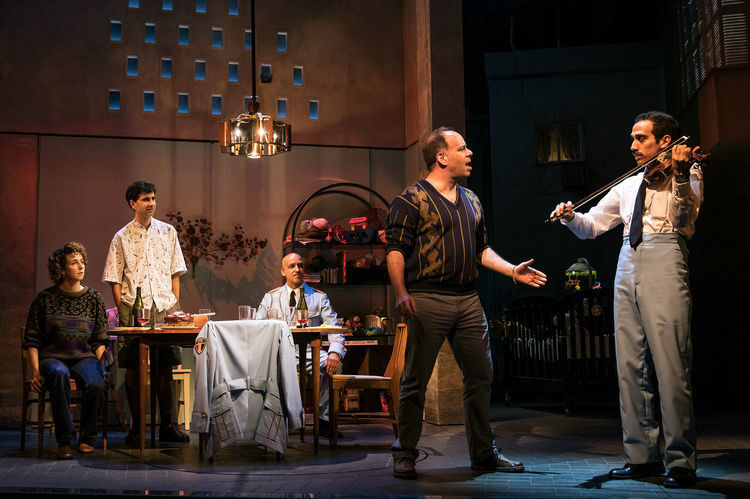 The score proves an excellent fit for the talents of Broadway composer David Yazbek, highlighting his strengths with fascinating rhythm and with intelligent lyrics. 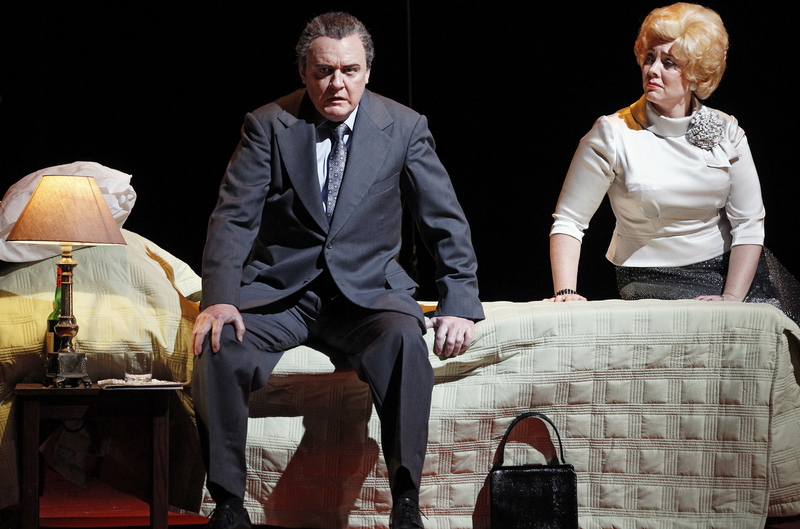 The songs derive organically from scenes, giving vent to characters’ inner voices through music. The Egyptian band members and Palestinian town members speak to each other in halting English, but, in line with the conceit already in place that breaking into song is natural, their English flows unchecked in song. Cafe manager Dina billets the band members at various homes while they wait overnight for the bus to Petah Tikvah. Conservative band leader Tewfiq spends time with Dina, a romantic beauty who has craved companionship since her husband departed. The pair bonds over movies starring “Omar Sharif,” and Tewfiq slowly opens up over his perception of his role in his recent family tragedy. Unaccustomed to spacing time with a respectful, modest man, Dina notes that she feels “Something Different” with Tewfiq. 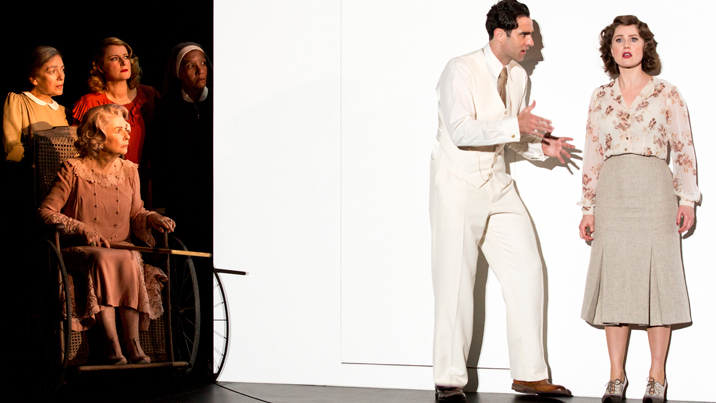 In line with the languid pace of the storytelling, Scott Pask’s scenic design involves deliberately slow transitions between scenes, allowing the content and characters space to breathe. 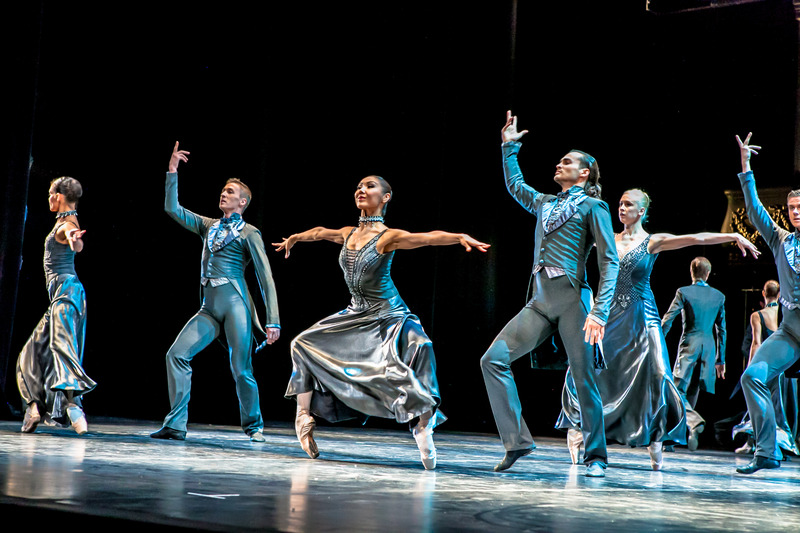 Band members are heard and seen practising and jamming on their instruments, and as the musical proceeds, the form becomes freer in that these musicians often stay on stage on the edge of scenes in which they are not involved. 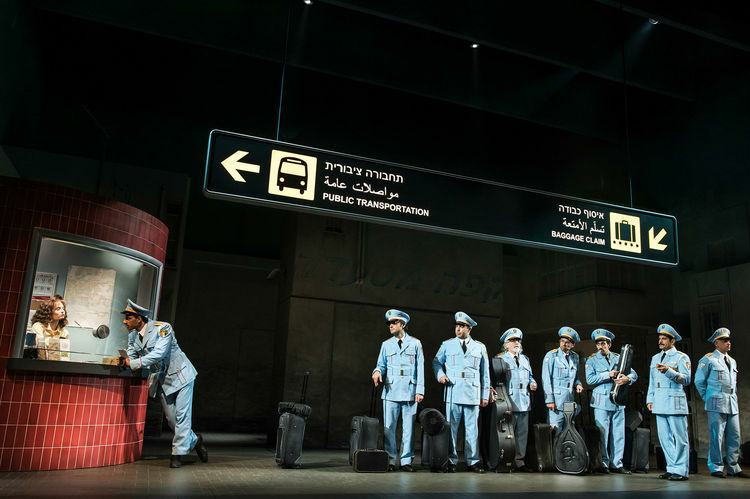 Costume designer Sarah Laux provides crisp powder blue uniforms for the band, and conveys Bet Hatikvah’s casual way of life in the townsfolk’s motley dress. Artful lighting (Tyler Micoleau) suggest hazy warmth and revels in the romantic dusk of evening. One of the through lines in the story is a young man who waits at the phone booth for his girlfriend to call. Not since Stephen Sondheim gave maid Petra the 11 o’clock number in A Little Night Music has a periphery character whose inner voice has heretofore not been heard provided such a stirring end to a show. Telephone Guy (Adam Kantor) sings the achingly romantic “Answer Me,” which eventually opens into a full reflection from all the characters as to where they have travelled on this long, seemingly uneventful evening. Katrina Lenk embraces the opportunity for a fascinatingly flawed female character to anchor a Broadway musical. Dina is a woman for today, glamorous by her own choice, independent, self-sufficient and in control of her actions and destiny. Lenk conveys naturalism with a beautifully underplayed performance, revealing intriguing layers of Dina yet still retaining an air of exotic mystery. Dariush Kahsani avoids all the trappings of the usual Broadway leading man, portraying a cautious, introverted man who detects the scent of romance but is in no place to act upon it. John Cariani shines in the role of flirtatious charmer Itzik, a character who is a source of much humour yet is far from a buffoon. Of the many supporting roles, Alok Tewari impresses as humble clarinettist Simon, a frustrated concerto composer. Attend The Band’s Visit for a glimpse of the non-Disneyfied, non-megabudget possibilities that Broadway can achieve through true art. 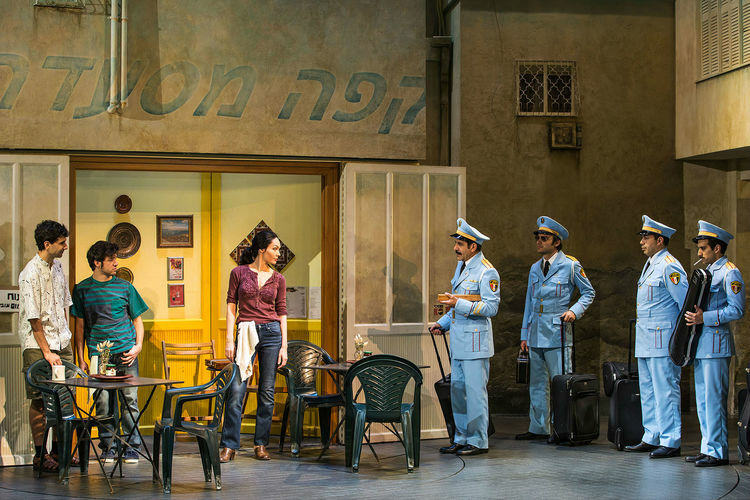 The Band’s Visit was reviewed 8pm Friday 6 April 2018 at Barrymore Theatre where it plays an open run.